The Brazilian frigate F-42 Constituição, in Sevastopol. Photo: Ukrainian Marine Portal. While I was able to take photo of many warships in the last couple of days, the maritime traffic on Bosphorus is so large, I have missed one. 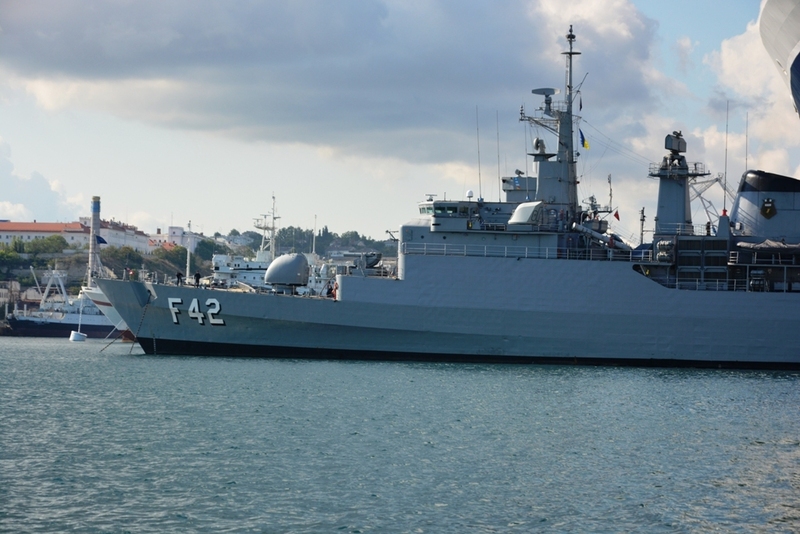 On 24 July the Niteroi class Brazilian frigate F-42 Constituição passed through the Bosphorus and arrived in Sevastopol, Ukraine for an official visit. She will stay in Ukraine till 29 July 2013. Today, July 25, went to Sevastopol frigate Navy of Brazil “Constitution”. The ship moored at berth passenger terminal of “Sevastopol Sea Commercial Port”. The frigate will stay in Sevastopol from 25 to 29 July in accordance with the list of activities of military cooperation of the Armed Forces of Ukraine in June and July 2013. In the national navy command protocol meeting with the commander of the campaign frigate “Constitution”, the commander of surface forces Navy Rear Admiral FBI Rezhynaldo Antonio Lima Pontes Junior, as well as coordinator of the program on the modernization of the Navy Rear Admiral FBI Petronio Augusta Sikuyra where Ahuyaar and commander of the frigate ” Constitution “Captain 2 rank Markos U.D.Abreyra spent Chief of Staff, First Deputy Commander of the Naval Forces of Ukraine Rear Admiral Dmitry Shakur. The meeting was also attended by Ambassador of Brazil to Ukraine Mr. Antonio Fernando Cruz de Mello. 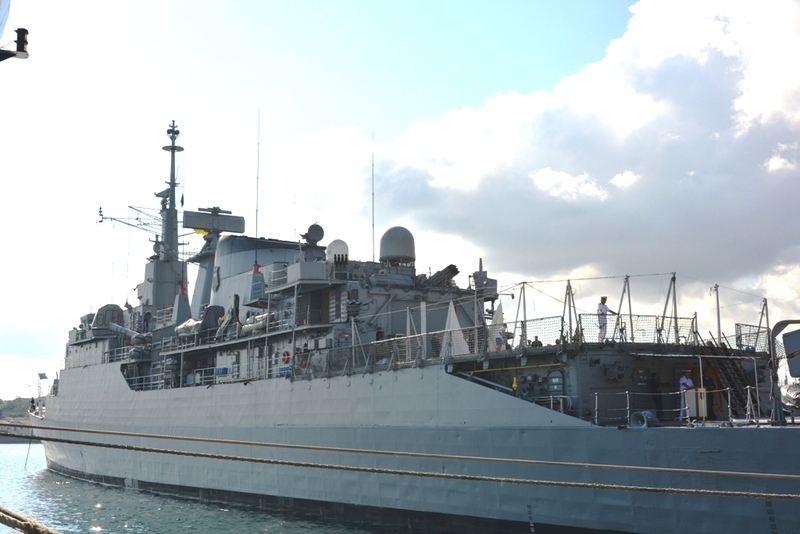 Rear Admiral Dmitry Shakur said that the arrival of the frigate “Constitution” in the port of Sevastopol is the first such visit and promote the expansion of contacts between Ukrainian and Brazilian sailors. I hope I will be lucky when she passes back to the Mediterranean. This what I like about the Black Sea.